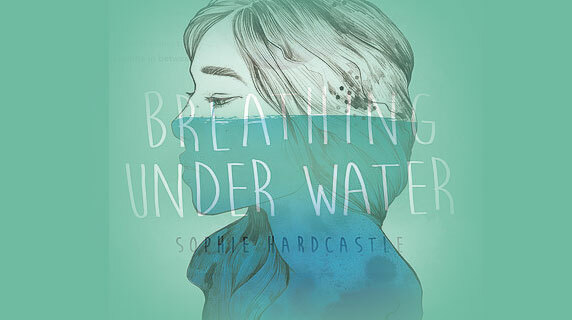 Breathing Under Water is a debut novel by Sophie Hardcastle. It is lyrical and emotionally powerful, and it explores grief, mourning, death, family and friendships. Grace and Ben Walker are twins, and Grace is the protagonist of the story. Her brother is a very skilled surfer but she is not, even though she loves to surf and swim. Ben has a lot more promise than Grace and it seems he has more affection and attention from their parents. Grace and Ben are extremely close, and they’re like best friends as well as twins. The book is set in a sleepy coastal town, which gives it an enclosed setting. This gives off an ominous tone throughout the book, which means the reader can sense tragedy is about to strike. And when it does, Grace doesn’t know how to deal with it. She starts on a downward spiral, unable to handle her grief and with no one to pull her back from it. Grace is an interesting character. She is bold, daring and very self-aware. 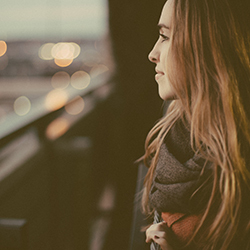 She doesn’t seem like the greatest friend at times during this novel, but through her character the reader comes to understand what it’s like to grieve and mourn and pick up your life when it seems impossible. This is a strong debut novel for Sophie Hardcastle. The writing is quick and the plot progresses at a realistic and readable pass, with necessary plot points and essential characters and scenes. [BEWARE SPOILERS] I have a slight concern with this novel that I’d like to bring up, but it reveals a spoiler, so perhaps stop reading if you don’t want to know. Towards the beginning of the novel, a character is sexually assaulted. I believed this to be the catalyst for the book – I thought perhaps this event would mould the storyline and it would be about the characters involved trying to move on from this assault. However, it’s not. The sexual assault is rarely spoken about, justice is not served, and another tragedy occurs a couple of chapters later. Firstly, I was relieved. I don’t enjoying reading about sexual assault when I feel like I read about it so much in the news these days. But, if the sexual assault was rarely reflected on and the main character didn’t seem affected by it at all, why did the sexual assault need to happen in the story? I feel it could’ve been removed from the plot and things wouldn’t have been too different because the story revolves around the other tragedy in the story, and not around the assault. Breathing Under Water is something you can read in one sitting. The prose flows well and the characters are interesting and the plot feels unique. I recommend this to lovers of young adult fiction.